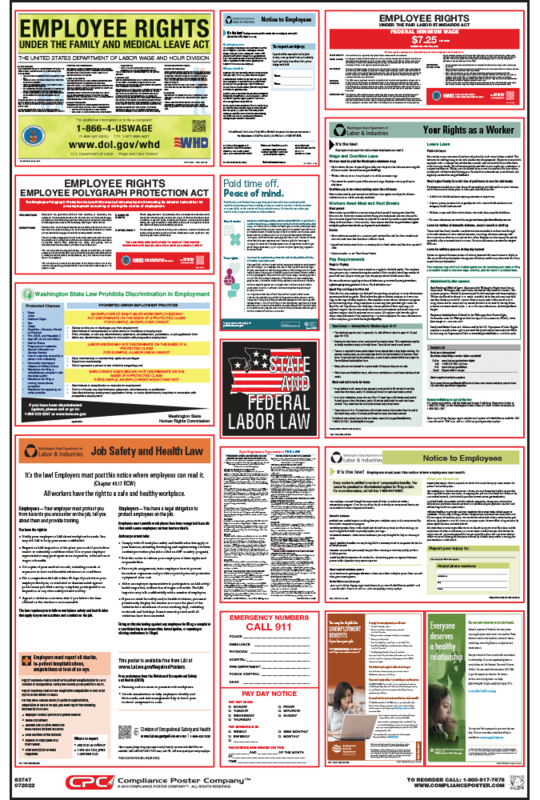 Federal and Washington State laws require employers to post notices informing employees of their rights and protections while performing work for their employers. 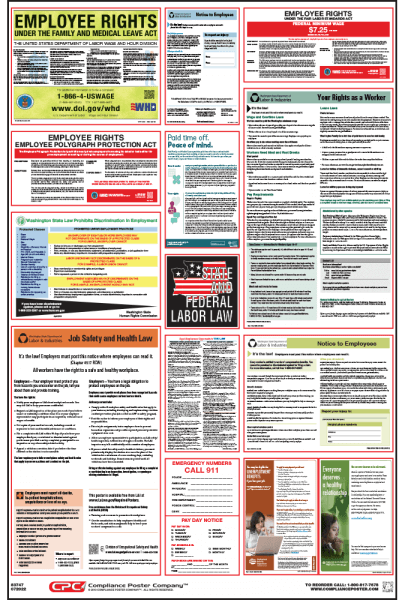 Washington State Labor Law Posters contain each of the state and federal mandatory labor law notices that must be posted in the workplace. In Washington State, employers may also be required to post a separate city or county poster depending on their location. The owner, lessee or other person in charge of a public place and place of employment must post the Washington Smoking is Prohibited within 25 Feet Sign conspicuously at each building entrance. In the case of retail stores and retail service establishments, signs must be posted conspicuously at each entrance and in prominent locations throughout the place.